If you are unfamiliar with arancini, you are not alone. This authentic Italian dish has been overlooked in the past but is now becoming more and more popular. You can find these rice balls everywhere from high-end Italian restaurants to the corner pizza store. So what is arancini and why is it a true Italian dish that you need to try? This article will explain it all for you! At its core, it is simply a ball of rice that is breaded and fried. These little rice balls are said to have originated in Sicily around the 10th century when the tiny island was actually under Arab reign. which translates to mean little orange. The name stuck as the rice balls certainly do look like oranges in color as well as shape. Rice balls were an instant staple in Italy as they were easy to make and inexpensive. They became the traditional food for the feast of Santa Lucia when Sicily celebrates the day in 1646 when a grain supply ship arrived to relieve severe famine which had overtaken the island. On December 13th of every year, bread and pasta are not eaten in memory of those hard times. Arancini takes center stage as an example of what the Island was sustaining on and how the people survived. 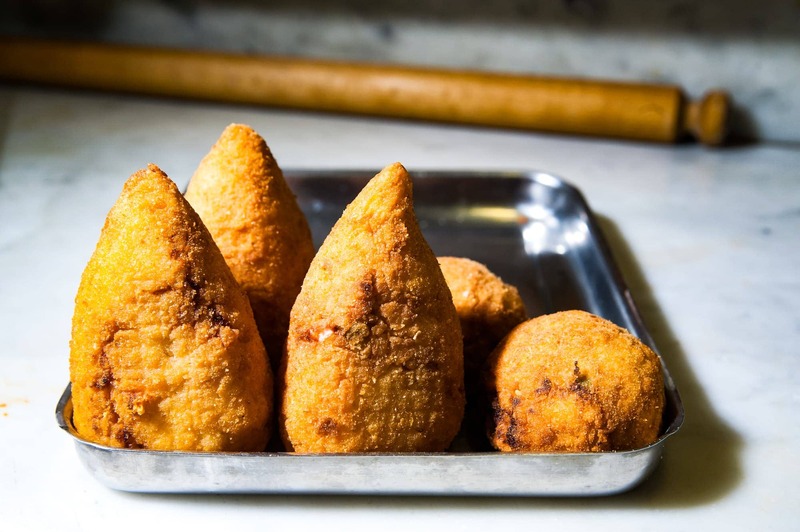 The traditional version of this Sicilian street food consists of rice, meat, peas, tomato sauce and mozzarella, rolled together to form a round ball, breaded and then fried. This is the most popular type and what most people think of when they see “rice ball” on a menu. However, there is another, very conventional way of making arancini and that is to use a white bechamel sauce in place of tomato sauce. These al burro or ‘with butter’ arancini are rolled into a pear shape before breading and cooking which make them clear to distinguish from the rice balls containing tomato sauce. Apart from the traditional arancini recipe, you can also find others filled with mushrooms, sausage, peas or even pistachios. Many chefs also like to play with cheese varieties, spices and even vary the shape of the rice ball to create a signature dish. 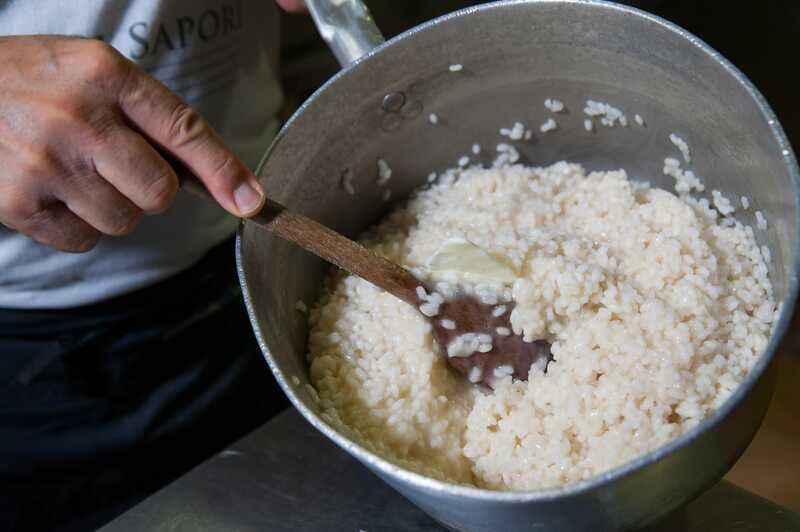 It is frequently made using old risotto of any type as it is the perfect texture to mold and form a ball. However, despite the combination of fillings and spices, arancini are all essentially the same- rice mixed with a sauce, compacted and breaded then fried to perfection! To make arancini, you must begin by making the rice. While traditionally, arancini are made with arborio rice, the same rice used to make risotto, they can be made with just about any variety. Plain white rice or even sushi rice will do the trick. The rice is fully cooked on its own before being made into the rice ball filling. Once the rice is cooked, it is placed in a bowl and mixed together with any fillings that are being used. Again, any mix-ins are also pre-cooked. If you are adding beef to the arancini, it is cooked alone before being added to the rice mix. Any vegetables are cooked and the sauce which will flavor the rice ball is also prepared in advance. Once the filling is mixed together, the real hands-on part begins- you actually have to use your hands! The most effective way to shape arancini is to place a scoop of the rice filling into your hands, then place a scoop of meat, cheese and peas in the middle and then cover with another scoop of rice. 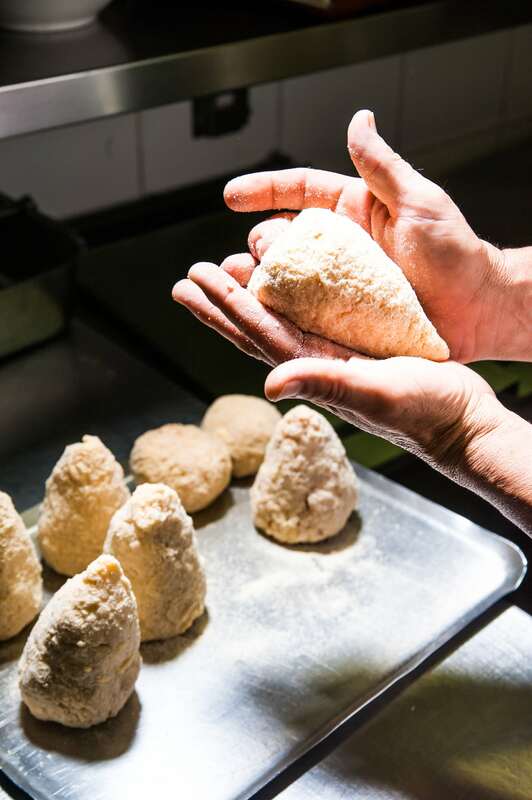 With your hands now pat gently the two parts of the arancino so that it forms a compact cone rice ball (or whatever shape you prefer). This ensures that the ball is nice and round and the rice is firmly stuck together. Now it’s time to cover the rice ball with the breadcrumbs, but first let’s submerse them in the batter. Here’s the traditional shape of the Sicilian ball. The rice balls are then rolled into a bowl of breadcrumbs and placed on a tray until they are ready to cook! Arancini is most frequently fried either in a sauté pan or deep fried. Since the rice and filling are already cooked before being formed, the center of the rice ball just needs to get slightly hot and the outside should become a perfect golden brown. The cooking time may vary depending on how large the rice ball is so look for the golden brown breaded exterior as the cue the rice ball is done. You can bake rice balls rather than fry them for a healthier version. However, the outside will never get truly crispy as a traditional version is suppose to be. It is that thin, crisp outside with a molten, soft center that you are looking for. Baking will work but at a slight cost to the texture of the rice ball. 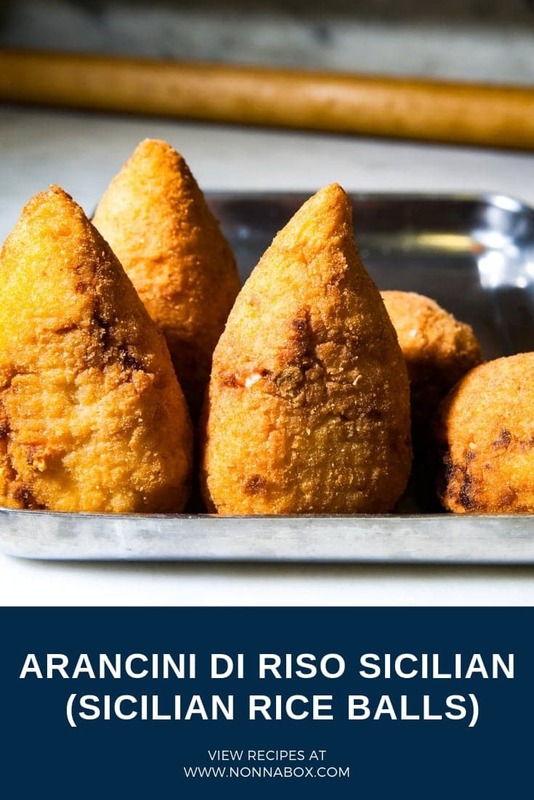 By now your mouth is probably watering for a true, authentic arancini so go ahead and get started with this Sicilian rice balls recipe. Once you have made it a few times, feel free to alter the seasonings or fillings to suit your taste. Of course, it is always great to keep the recipe the same, after all, isn’t it the perfect flavor and texture combination that made arancini a traditional Italian dish in the first place? 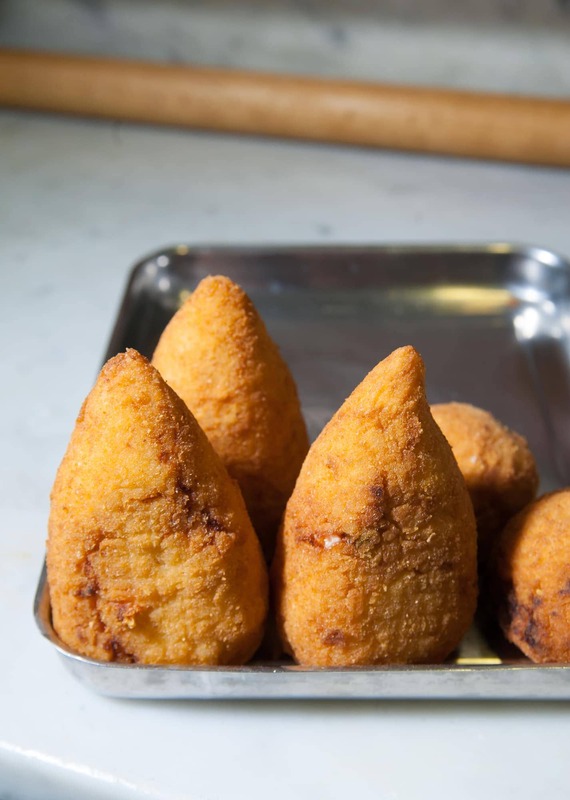 Arancini, or arancine as Sicilians correctly call these fried rice balls, are one of the most authentic and world famous Sicilian street food. Cook the rice as instructed in the rice bag, making sure all the water is completely absorbed. Once the rice is ready, add the butter and mix with the rice until it's completely melted. 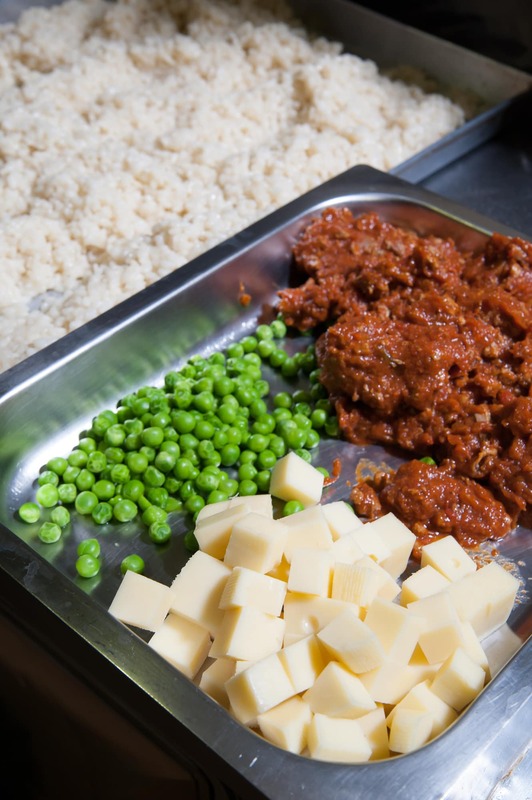 Place the rice on a large and shallow tray, cover it with a plastic film wrap and let it cool down for about 2 hours. In the meantime, mix the Bolognese sauce with the peas. If the sauce is too liquid, then make it simmer on a small pot until it's dense. 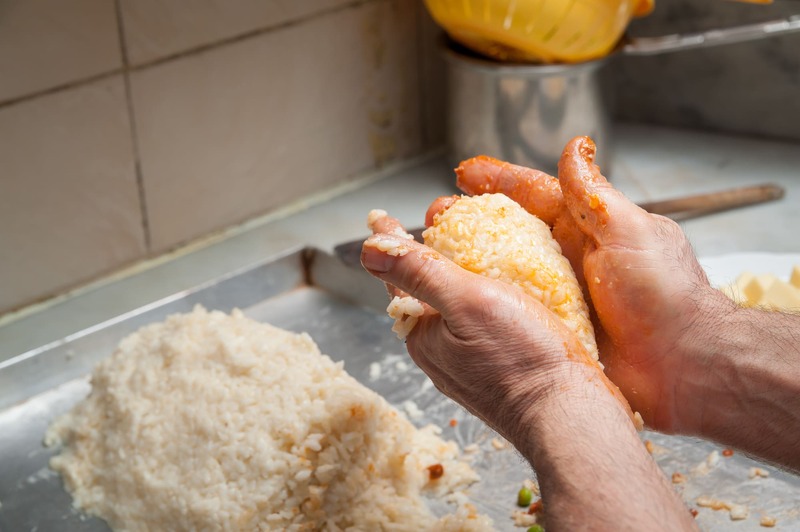 When you are ready to form the arancini, take a scoop of the rice and place it in your palm. Flatten it and then place about a teaspoon of Bolognese sauce and peas along with a piece of mozzarella in the center. Close the rice around the fillings and then gently shape into a cone or a ball. Repeat with the remaining rice and fillings. Place the rice balls on a large tray. Now that all the arancini balls are ready, let's prepare the pastella (the batter). On a medium ball combine 2 cups of sifted flour with 1 1/4 cups of water, mixing it until fully combined. Submerge the arancini one by one in the batter, and roll them into the breadcrumbs until they are fully covered. Place the rice balls covered with bread crumbs on a tray. In a deep pan, warm up the oil. When the oil is at 340 F you can now fry the arancini in the hot oil until they turn golden brown. Remove from the hot oil and place on a paper towel lined tray. Serve while hot with any excess Bolognese sauce you have left. Buon appetito! Have you tried this recipe? Let us know in the comments below!